At least one large Miami public park will not see any new large-scale commercial development. In a meeting that drew pleas from residents of downtown and even former Miami Mayor Maurice Ferré, Miami commissioners voted unanimously on Thursday to keep the 30-acre Maurice A. Ferré Park in downtown Miami as a public park. The vote came after commissioner Joe Carollo sought bids to build a mixed-use waterfront facility so that the city could earn income from the property. The move spurred fears among residents that one of Miami’s largest public spaces would be engulfed with new luxury condos and new development. 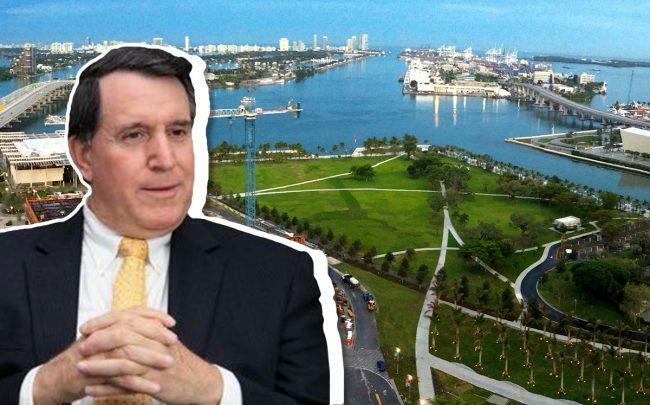 During a meeting on Thursday afternoon, Carollo removed his request for proposals, but said he still wants to fill in a deep-water slip at the edge of the property, called the Florida East Coast Slip, to expand the park. He said covering the slip would give the park 9.5 more acres, which the commission will reconsider at a later date. Last year, a European developer proposed to Carollo building a yacht club and upscale restaurant that would generate $5 million per year, according to the Miami Herald. That prompted the request for proposals. The park sits next to the the Pérez Art Museum Miami and the American Airlines Arena, overlooking Biscayne Bay and across the street from luxury condo developments including Zaha Hadid’s 1000 Museum. Commissioner Manolo Reyes said he was concerned that other public parks in lower income neighborhoods would not be protected like Ferré park. He requested to include an ordinance for a future date that all parks in Miami remain parks and free of commercial development. Reyes’ comments comes amid concerns that the city of Miami was too willing to give up Melreese country club, a public golf course near the Miami International Airport, to the Beckham-Mas Group. The group plans to build a Major League Soccer stadium along with at least 750 hotel rooms, and a minimum of 1 million square feet of office, retail and commercial space.